I am a terrible leader! 😛 I have been harassing the rest of the members for the last week to hand over their blog posts for May and yet I just finished wrapping mine up an hour ago. However I will say that our group verges on the point of being too epic to even be described! I was both pleased and apprehensive when our little band of 4 sprang to 6 with the addition of two fabulous new ladies to our group. Would they meld well with the rest of the group? Would they laugh at our stupid jokes? Thank goodness not half an hour in we were all cracking jokes and piping up and getting along just swimmingly! One of the many many things I love about this book club is the freedom to say just about anything. We seem to have tackled a lot of books lately with real gritty or heart wrenching themes or plots, but have been lucky enough to have one book that is either so ridiculous or so different that we are able to grab something and turn it into a running joke. Last time around it was Genghis and the marvellous poop sword, and this time it was Bumped and the crazy teen who slept with a boy who looks like Jesus so she could “feel God”. In between the laughing and joking and eating the amazing vanilla cupcakes filled with lemon curd and lemon meringue buttercream frosting (I almost died from the numminess), we were actually able to delve deep into our books and find meaning in the mass of easy to read fiction. Jenna dove into Will Grayson, Will Grayson by John Green and David Levithan and found a book that looked unflinchingly at LGBT teens and their struggle to come to terms with who they are, as well as big gay musicals. Dana read White Cat by Holly Black filled with curse-workers whose very touch can change the essense of who you are and how you think, it also gave us a good laugh over the term blow back, which were the consiquences of using their touch. 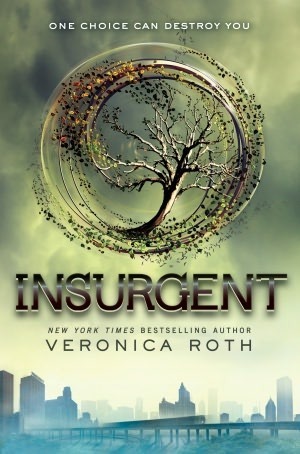 Amanda got a taste of the Hunger Games by Suzanne Collins and was happy to finally encounter a strong female lead in today’s teen fiction, and I tried desperately not to give away all the juicy bits. 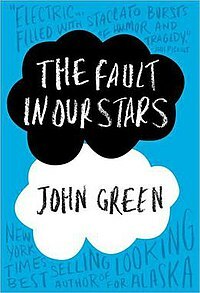 Andrea fell in love with A Fault in Our Stars which was also by John Green as she found a book that spoke to her on a very personal level and reminded each of us that no day is guaranteed. Check out her review over at: facelessmasses – A Fault in Our Stars; or how to break a nerdfighter. All in all, May Book Club was another fantastic time of good friends and great books. Looking forward to another Month.